Pours a sinister thick black liquid with small dark brown bubbles rising above and receding almost immediately to leave just a halo around the darkness. Right away the color and aroma strike me and let me know that this is no normal beer. Port was my first thought when smelling it then there is some oak, cherry and hints of smoke and chicory with espresso on the tail end. This beer is thick and chewy on the palate with fig, dark plum and cherry, followed by vanilla, wood and smoke that fades to tobacco and leather with a lingering coffee and warming alcohol finish. Pours thick and oily out of the bottle with an impenetrable black color and tight mocha head that fades to a halo of foam. Sweet chocolate, vanilla, and coffee quickly fade to a strong smoky and meaty aroma with some woody smoke notes that linger. It is velvety smooth on the palate with the sweet chocolate, vanilla, caramel that transforms to a faint wood and smoky flavor which then evolves to a bittersweet espresso finish, with a touch of metallic taste. This as usual in the Geek line, is a delicious, full and rich stout with some hints of smoke flavor that are way stronger in the nose. The high carbonation, slight metallic taste and the lack of harmony in the sweet, coffee and smoke flavors was a bit of a let down but still a really good stout in my opinion. 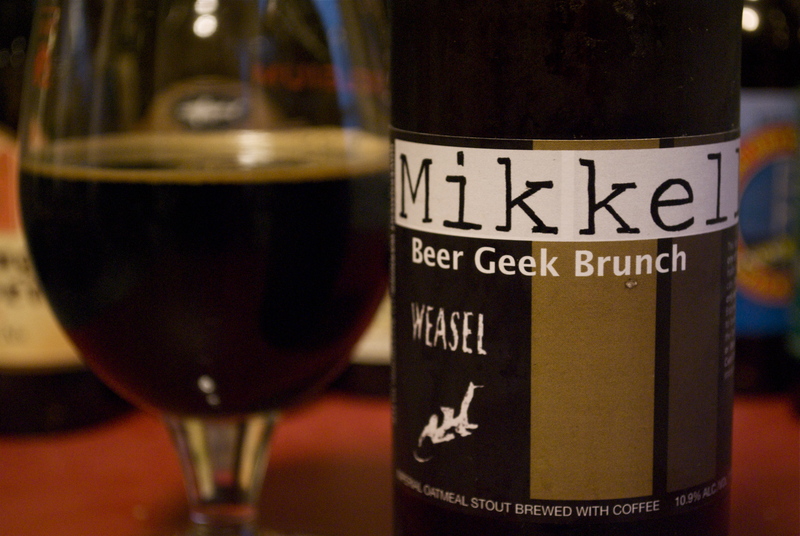 My favorite is still the Beer Geek Brunch Weasel but this was an interesting beer and I do love the bacon on the label. Comes out of the can like motor oil. Thick and black but produces a bit of dark brown foam to top it off. Don’t pour it in your car. Strong aromas of dark fruit, fig, molasses, chocolate, coffee, wood and smoke. The thick and sweet molasses comes through first with an oily arrival of oak, vanilla, chocolate, coffee, raisins, figs and smoke, with a bittersweet coffee finish. Awesome Imperial Stout, and you can take it hiking, to the beach, the pool, although I wouldn’t advise shotguning it… would I? This is 10% in a can done right. Enjoy this after dinner, with a cigar and toss out that bourbon or peaty single malt. This stout is rich satisfying and can also double as your coffee, espresso and after dinner drink as well. Pours out thick and black with a small, light mocha colored head. Dark coffee aroma, big malt presence, some wood notes, vanilla and dark fruit. 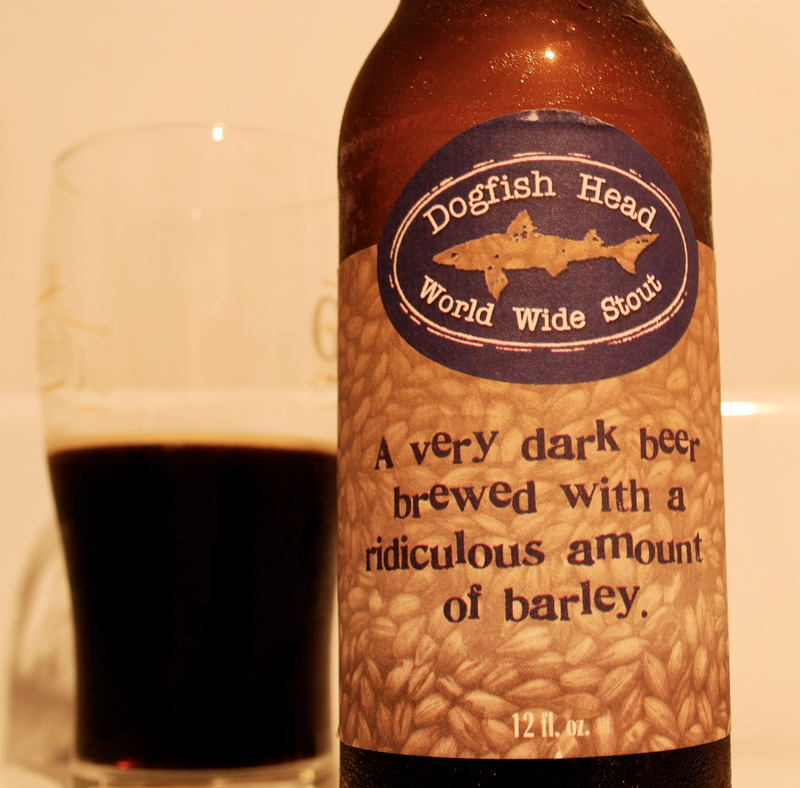 The taste is sweet and dark malt, with rich coffee flavors throughout and a bitter finish. Notes of dark, semi-sweet chocolate, espresso and vanilla and wood are all there supporting the flavors. This is a full-bodied beer, rich with light carbonation, which lends to it not being too heavy to drink. Sticky on the palate and not too oily of a mouthfeel. Maybe it’s the fact that I know its made with these special coffee beans, but I really liked this beer. I love the coffee element in stouts and this is my new favorite. It’s a bit expensive at around $13 for a bottle, but absolutely worth it if you want to splurge, like coffee beers, or just want to be able to say you drank weasel poop. All good reasons in my mind. I got this as the main beer in a package from a BeerAdvocate member. This is a highly sought after seasonal release from the Chicago brewery, Goose Island. 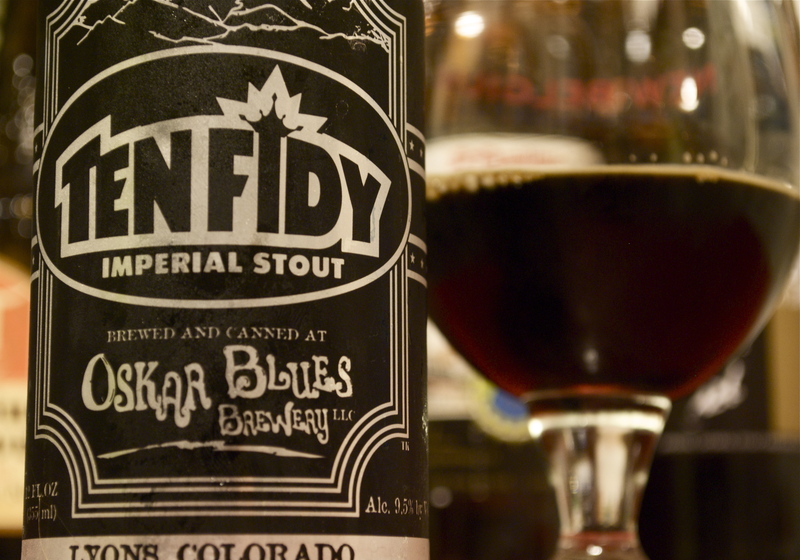 It is an Imperial Stout which is a great beer to age as the high alcohol content helps it gain complexities with age. Here’s my review of the 2006 vintage. Pours a thick, oily deep brown, with no head, just a tiny halo of dark bubbles. The nose of this beer is strong, sweet licorice with fig, dark cherry and earthy tones, with some oak in the background. It is thick and sweet on the palate. More licorice and fig with some molasses along with vanilla and tobacco on the back that rolls into a mellow and warming bourbon finish. The mouthfeel on this beer is really what sets it apart. You can almost chew it. It is slick and oily with a nice stickiness to it. It is everything an Imperial Stout should be and the barrel aging just adds to the complexity and the warming alcohol taste. One 12 oz. bottle would probably be best poured into two snifters and shared with a friend. Most purists would get upset about this, but if I had to choose a cigar beer, this one would be the top choice, as long as you try it without the smoke first. With food, indulge with some dark chocolate for dessert, or just let it stand on it’s own after a meal. 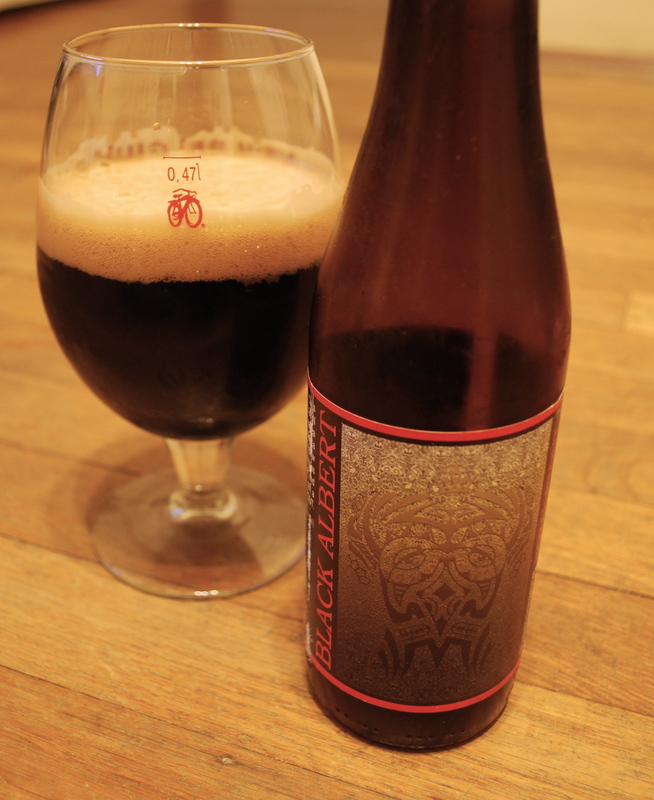 This Imperial Stout is from De Struise Brewery in Belgium. It pours a flat, thick liquid which has a delayed dense and creamy mocha colored head that stays throughout the beers time in my glass. 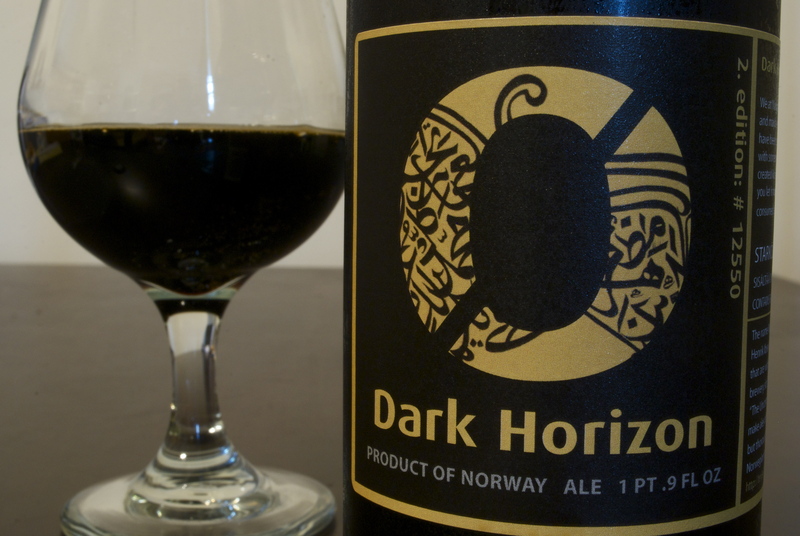 Imperial stouts are always beautiful dark beers and this one is no exception. Black Albert gives off a strong roasty aroma of cocoa, coffee, sherry, oak, and dark fruit notes of dried fig, however no raisin notes as I expect from many Imperial stouts. The velvety smooth liquid pours over your tastebuds and coats them with sweet chocolate followed by a maltiness that fades to a bitter coffee kick on the back. Very complex flavors throughout, most notably oak, sherry, powdered cocoa, fig and maybe dark sweet cherries although I am not well enough versed in horticulture or cherry varieties to pinpoint it. The mouthfeel is creamy initially and then becomes oily and slick with some stick from residual sweetness. It’s decadent rich qualities, with the sweet and creamy flavors lend to the drinkability as a dessert beer. At 13% it is deceivingly easy to drink. Black Albert will be incredible with a carrot cake. The sweet flavors will blend seamlessly and the fruity notes in the beer will highlight the carrot and cinnamon and make for a tasty dessert. My final thoughts are that this is a really great Imperial Stout. It is a bit expensive at around $9 retail, but the beer inside is worth it, with sweet, complex and inviting flavors. Black Albert is deep and dark and delivers all the indulgent qualities of the finest chocolate. It’s been a while since the last post. So here’s a special review! Something impassable has come to pass. I have had the pleasure of receiving not only one, but two of the highly coveted Black Tuesdays. The Bruery has been in operation for just about two years now and this October was the release of their Imperial Stout, Black Tuesday. Their beers are as delicious as they are thought provoking. I am lucky enough to have a good friend living in Southern California, a great locale for beer geeks. Through many telephone calls, a splash of persuasion and much enthusiasm on both parts, the day in October was set, funded and much anticipated for the purchase of the allotted three per person bottles of Black Tuesday. After many website checks, phone calls, and shipment tracking. Two bottles of Black Tuesday arrived at my door in Louisiana. This massive Imperial Stout has most likely been in the state in less than a dozen bottles, all through trades or extensive travel. While it is hyped on the Internet and heated discussions, the taste is not to be ignored. One rainy day, when I decided it was right to open such an indulgent bottle, I poured out the thick, deep brown liquid that would accommodate no light to shine through and only some mere ruby highlights on it’s edges. It was an exciting moment I had anticipated for months. The minimal carbonation that culminated right after a vigorous pour, dissipated to leave a halo of moderately sized bubbles where the cherished booze touched the glassed edges. Black Tuesday’s gives off a deep aroma of dark cherries, chocolate, with roasty, as well as prune, raisin and fig notes. 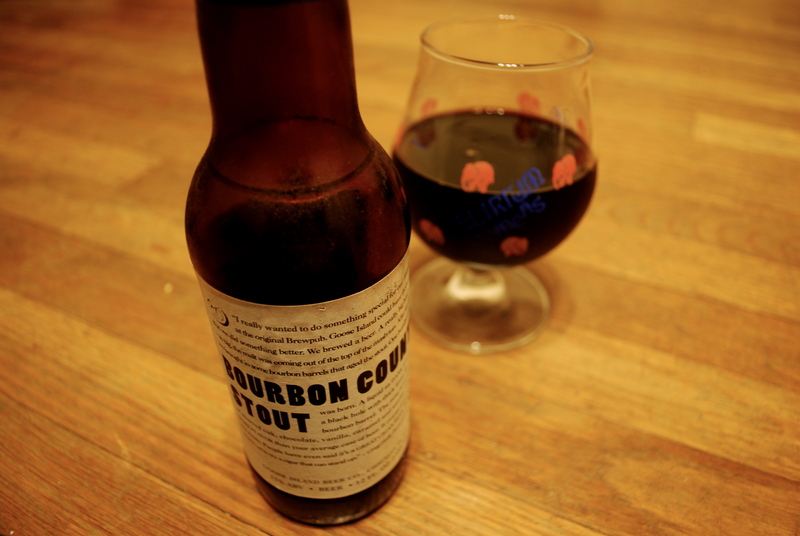 Lots of alcohol in the nose with licorice and very rich bourbon to sweeten things out on the end. So far the aromas do not disappoint. The taste is as complex as it is alluring. The velvety smooth liquid tastes of caramel, chocolate, vanilla, dark fruit, prune and dark cherry that all appear miraculously with a syrupy, sticky alcoholic heat on the finish. In the most simplistic manner, Black Tuesday is one big dark chocolate covered cherry that has been soaking in bourbon. The complex flavors are a lot for one’s palate to contemplate. Its oily yet silky smoothness makes this beer incredible in mouthfeel alone. This revelation simplifies the complexities of flavor, yet the syrupy sweetness leaves the palate with full-bodied remnants that could almost be chewed. Hype can be undoubtedly bad for a beer, just as it could be good. My opinion of this beer suffered greatly through my first sips, expecting a life-changing event after reading how great it was. Upon more thorough contemplation, and drinking much more Imperial stouts, I realized the intensity of flavor this beer offers. This is a must drink in my opinion. Again I would like to thank Harrison Weinfeld, who drove out to the brewery, and can be seen below in a picture from the Bruery’s coverage of Black Tuesday release day. If you’re ever in LA, look out for Jammin Salmon.